A rare archival viewing of a fascinating holiday film, part propaganda, part social commentary. On December 28th, 1964, an incredibly unique Christmas film aired on ABC for the first and last time. 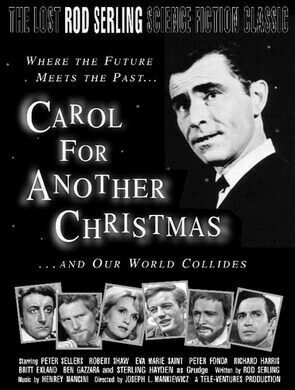 An update of Dickens' A Christmas Carol, Carol for Another Christmas was directed by Hollywood veteran Joseph L. Mankiewicz and written by Twilight Zone creator Rod Serling, who was charged to write a film touting the virtues of the United Nations. 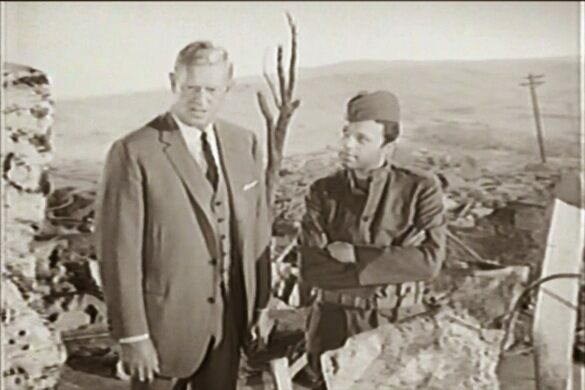 What resulted was much more than just UN propaganda, however - Serling used the opportunity to create a relentlessly dark film which forced its post-WWII audiences to confront the new realities of the world around them. Viewers were reminded of the devastating effects of war on the innocent, particularly the 1945 atomic bombings of Japan, as well as consider the importance of global unity and empathy towards the plights of other nations. The all star cast is lead by Sterling Hayden (Dr. Strangelove) as the "Scrooge" character, who is joined by Ben Gazzara (The Big Lebowski), Eva Marie Saint (North by Northwest), Robert Shaw (Jaws), and Pat Hingle (Batman). 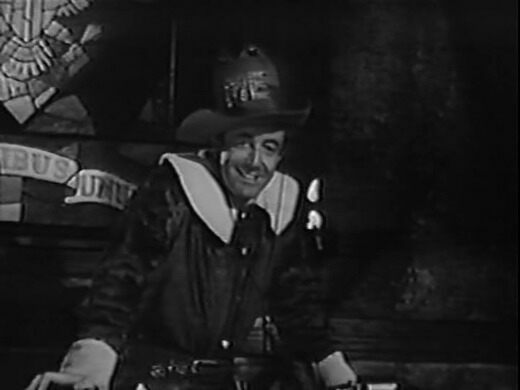 Of particular note is a post-apocalyptic warlord played by the legendary Peter Sellers and a surprisingly affective performance by crooner Steve Lawrence as the Ghost of Christmas Past. Unavailable to the public for over 50 years aside from viewings at private archives and a one-time showing on cable, the Atlas Obscura Cinema Club is proud to share with its members this moving film which manages to be a fascinating window into another time and a work whose themes are still painfully relevant today. Advanced tickets highly recommended. All ticket sales are final.